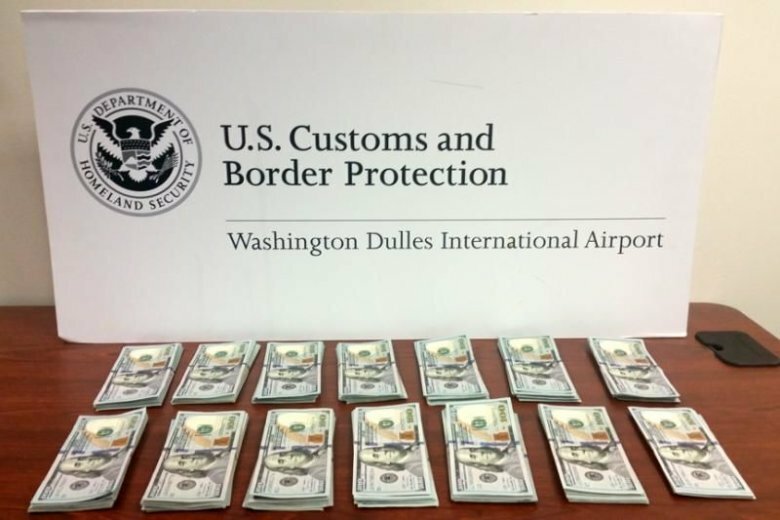 CHANTILLY, Va. — Large amounts of seized cash have been piling up at Dulles International Airport, all with a connection to one country. Since July, there have been 10 seizures of large amounts of undeclared cash carried by people going to or coming from Ghana. In September, one man was stopped with more than $150,000 on him. But the seizures have not yet been linked to any criminal elements. It could be that those caught with the cash are distrustful of authorities, especially those overseas, and are used to operating in a cash-focused economy. Another agency, Immigration and Customs Enforcement, has followed up on the seizures and interviewed those caught with the money. It said the recent interviews have not led to any charges. CBP said travelers can carry as much money as they want, but anything valued at $10,000 or more must be reported. Some of the cash has been seized as travelers tried to leave the U.S., in outbound operations that many people may not know about. “I would say it’s probably a new thing for people to see,” said Brooks Burnett, a Tactical Terrorism Response Team member and supervisor. He and other officers scan departing passengers using facial recognition technology just before they board the plane. “Right now we’re looking for people going outbound that have either violated criminal or immigration laws,” he said. They also look for drugs, in addition to undeclared cash. “It is part of our mission to control terrorists, weapons, narcotics coming into the country but also exiting the country as well,” Burnett said.